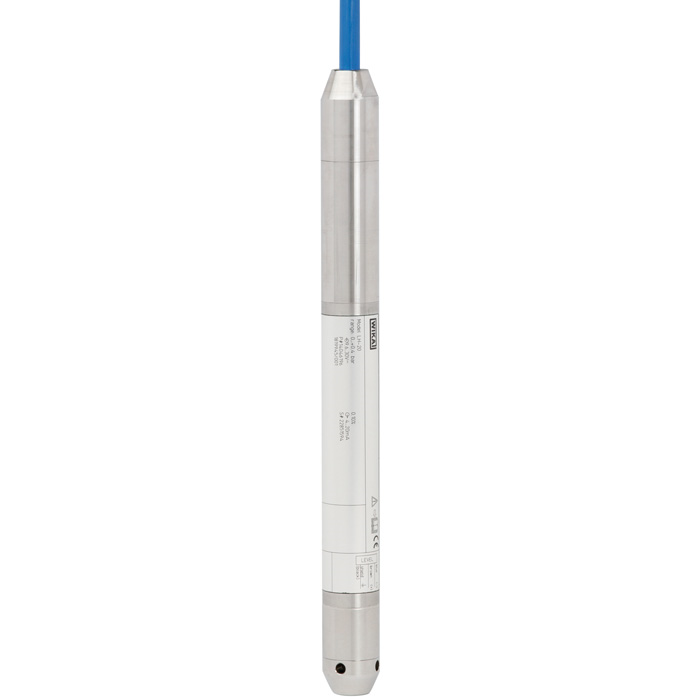 The model LH-20 submersible pressure transmitter has been designed for the most demanding of level measurement tasks. A slender design, highest accuracies, low temperature errors and an adjustable measuring range ensure the suitability of the LH-20 for all submerged level measurements. The model LH-20 submersible pressure transmitter can adapt to countless applications and measuring media through a large number of features and options. 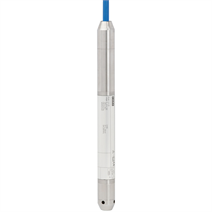 Depending on the requirements, this level probe is available with, amongst other things, a titanium case, PUR/PE/FEP cable, 0.1 % accuracy, HART®, scaleability or parallel temperature output signal. For operation in hazardous environments, the model LH-20 submersible pressure transmitter is also available in an intrinsically safe version. For potable and fresh water applications, a potable water conformant product variant is possible in accordance with KTW and ACS. The model LH-20 submersible pressure transmitter has been engineered for use in the harshest environments. Through a double, redundant sealing concept, it is permanently hermetically sealed. A robust design from stainless steel or titanium, with a spring-reinforced cable seal, ensures a long service life, even under the big mechanical loads of installation and continuous use. Designs with the highest media resistance using FEP cable and titanium cases, along with the integrated lightning protection, guarantee the longevity of the submersible pressure transmitter even under the most adverse environmental influences in aggressive media, in both indoor and outdoor use.